Single artwork photograph courtesy of Stephanie Thomas. the Welsh cancer charity Tenovus www.tenovus.org.uk & The Cudeca Cancer Care Hospice in Spain www.cudeca.org. 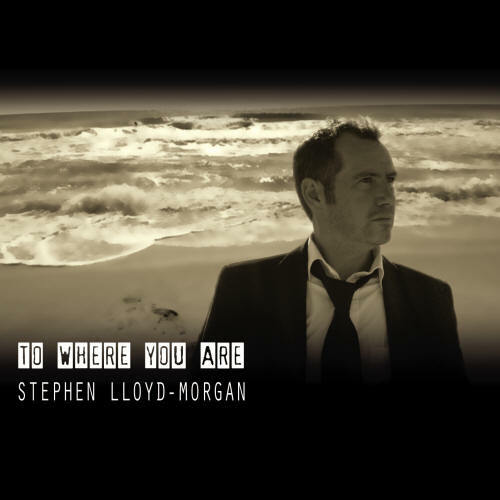 The album is dedicated in memory of Steve’s Dad Bryant, who passed away 18 months ago having been diagnosed with cancer only 5 weeks previously and therefore the primary purpose is to raise funds for these very worthwhile charities. The album itself is divided into two distinct halves. 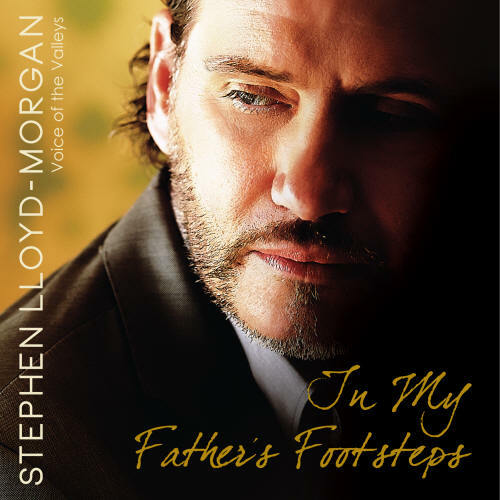 One, the more popular classical, musical theatre and crossover-opera that Steve is best known for, the other a mix of tracks from the 60’s through to the 80’s that were his Dad’s favourites and with which Steve grew up. 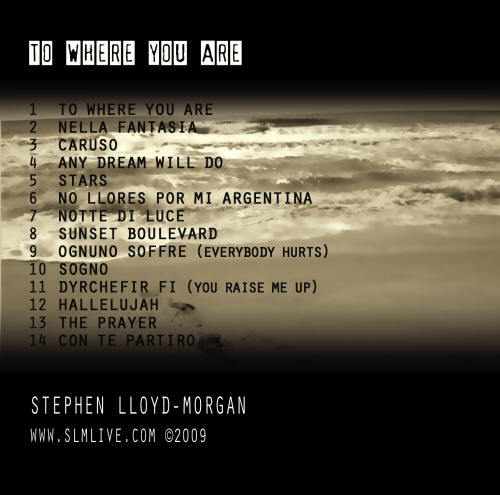 A total of 14 tracks, in English, Spanish, Italian and Welsh! 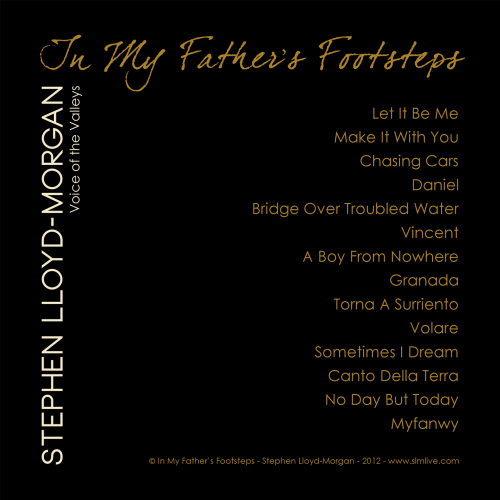 Michel Cruz's article, "Stephen Lloyd-Morgan, Voice of the Valleys"
El álbum está dedicado a la memoria de su padre Bryant, fallecido hace 18 meses tras haberle sido diagnosticado un cáncer tan solo cinco semanas antes. El objetivo principal es el de ayudar a Cudeca - fundación de cuidados paliativos para enfermos de cáncer - en España www.cudeca.org y a la organización benéfica de lucha contra el cáncer Tenovus www.tenovus.org.uk, con sede en el País de Gales. El 100% de los ingresos de las ventas se donarán a estas dos organizaciones. El álbum estará a la venta en iTunes y en las principales tiendas de descarga de música online, incluyendo Amazon MP3 & Spotify . Los CDs estarán disponibles en Amazon on Demand y un número limitado de ejemplares podrán adquirirse directamente en las tiendas de Tenovus y Cudeca. 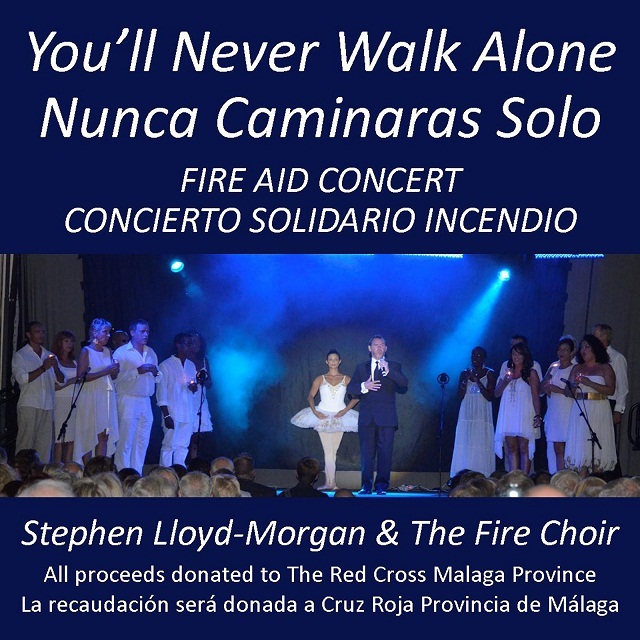 re-released in March 2012 raising funds for The Cudeca Cancer Care Hospice. 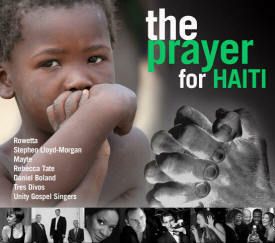 Available on iTunes and all leading download stores including Amazon MP3 & Spotify, CDs from Amazon on Demand. 100% of sales income donated to charity.